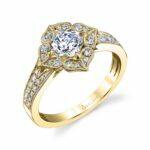 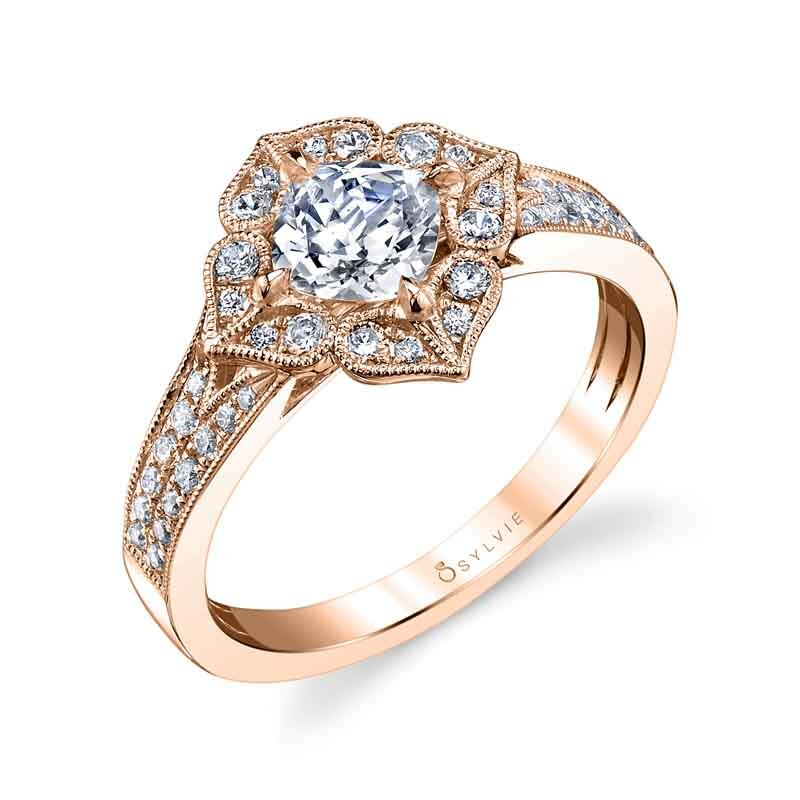 This unique and romantic flower engagement ring features a dazzling 1 carat cushion cut surrounded with a halo of petals arranged in the shape of hearts and edged with milgrain accents. 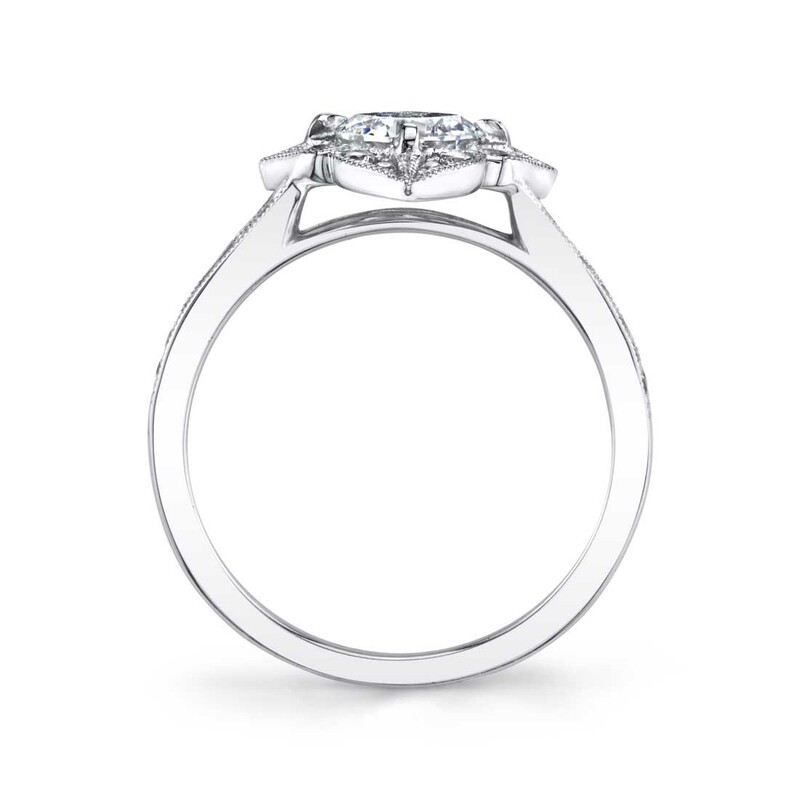 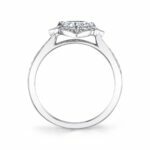 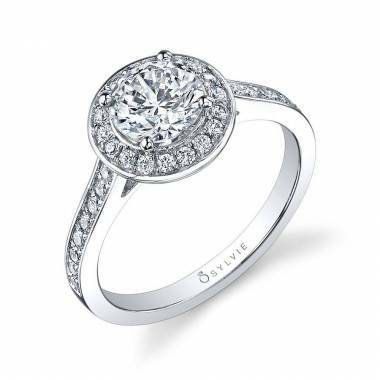 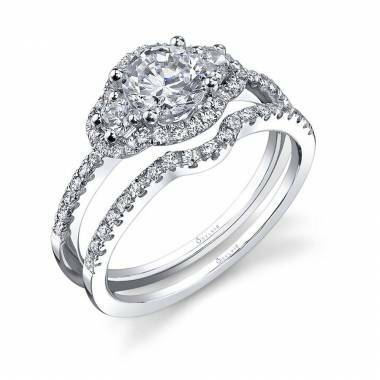 Each petal contains two different sizes of shimmering round diamonds and all are placed on a split shank with two rows of pave diamonds which tapers into a single band. 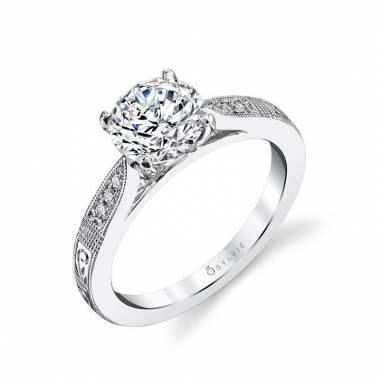 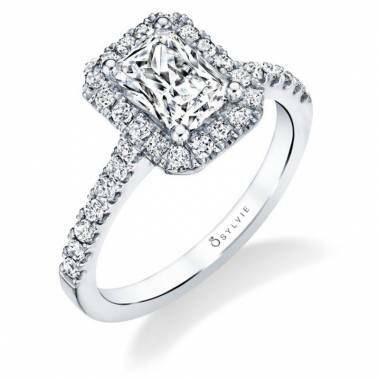 The total weight of this enchanting engagement ring is 0.34 carats.